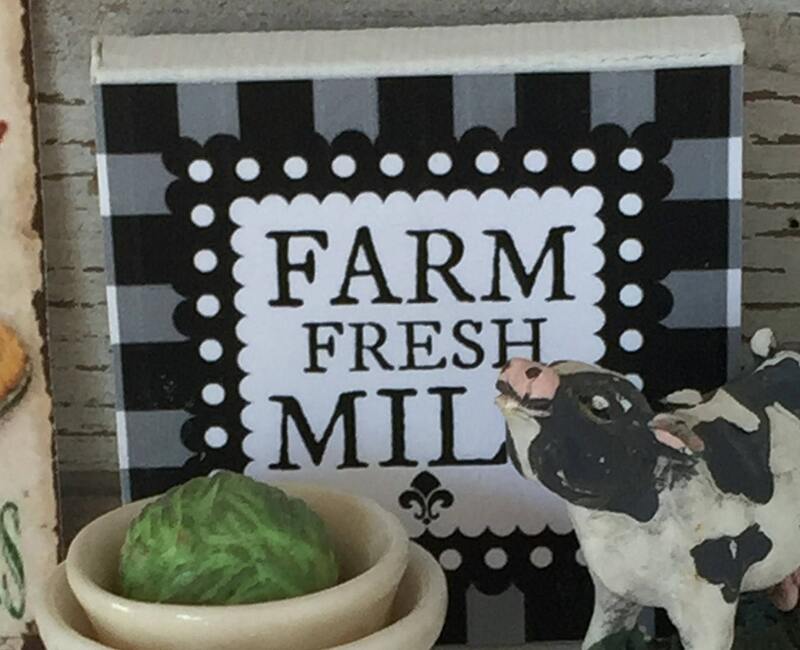 Miniature Farm Fresh Milk Miniature Canvas Sign 2" x 2"
Tiny canvas embellished Farm Sign. Black, grey, white colors. 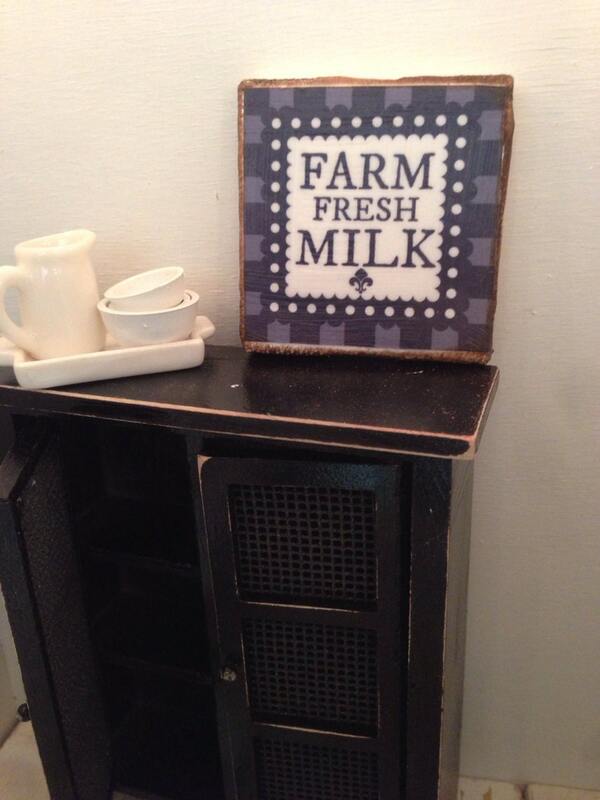 Edges are distressed to give the tiny sign a weathered farm look. Sign is almost 2" wide and 2" tall. 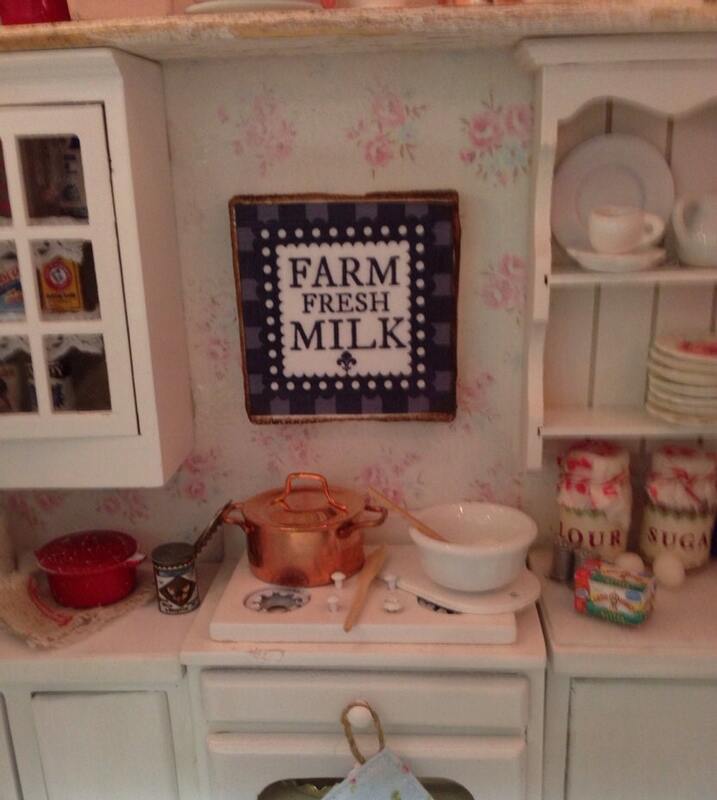 Perfect for your dollhouse, vignette or room box. 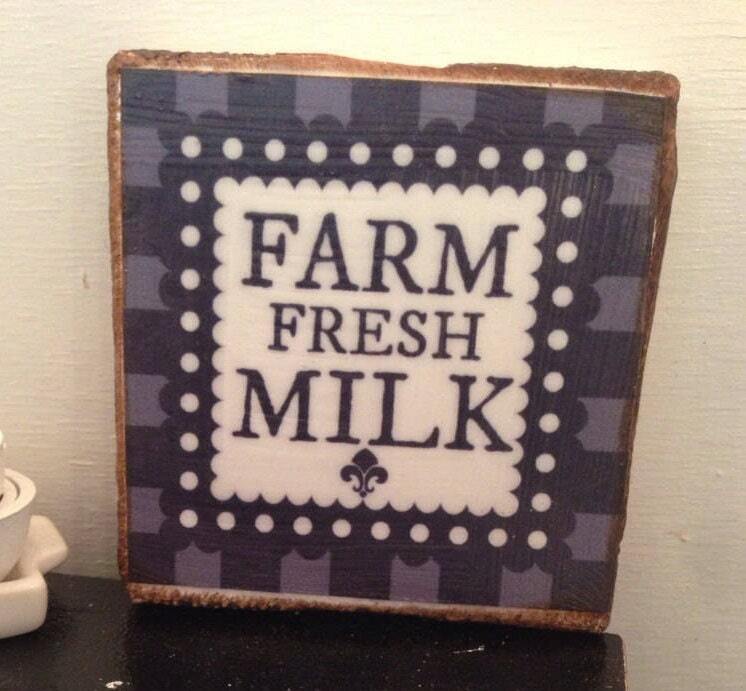 Great little sign and wonderful seller! This sign is absolutely adorable. 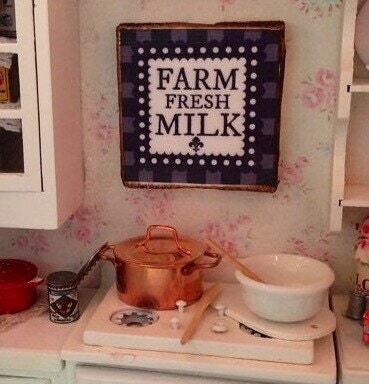 A perfect addition to an old-fashioned kitchen!